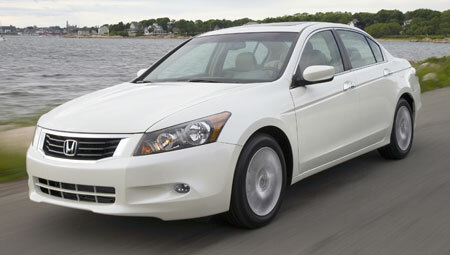 Honda has released details and full product images of the new 2008 Honda Accord sedan and coupe, but let’s look at the Accord sedan first as it is more relevant to our local market. 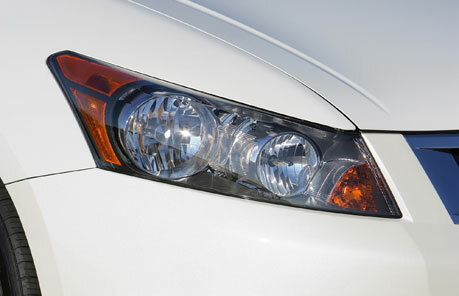 The Honda Accord sedan in the US comes with 3 engine options – two 2.4 litre inline-4 i-VTEC units as well as a 3.5 litre V6 engine for the top of the line model. The 2.4 litre engine is available in two stages of tune – a 177hp @ 6,500rpm, 218Nm @ 4,300rpm basic unit that has 7 more horsepower than the 2.4 litre in the current Accord as well as a tuned up 190hp at 7,000rpm variant with 220Nm of torque at 4,400rpm thanks to a reprogrammed ECU and a high-flow muffler with a variable valve silencer. The V6 unit grows from 3.0 litre in the current Accord up to 3.5 litres and makes 268 horsepower at 6,200rpm and 336Nm of torque at 5,000rpm. This SOHC V6 engine is equipped with Variable Cylinder Management which allows the engine to operate on three, four or all six cylinders to help boost fuel economy or power as needed. The coupe has this same engine without the VCM – the reduced valvetrain weight improves low to mid-range power. Once again the 2008 Honda Accord rides on a double wishbone front suspension at the front, enhancing the driving experience. 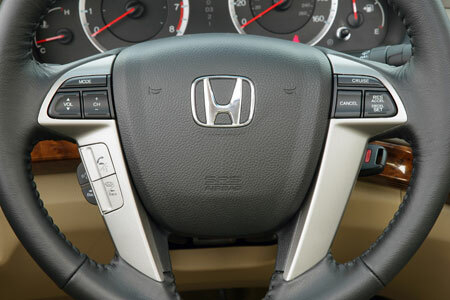 In the US market, this new Honda Accord marks a few firsts for a USDM Accord – disc brakes on all wheels for all models, Vehicle Stability Assist (VSA) on all models, power lumbar support, auto-dimming inside mirror, compass, multi-line display CD and MP3 player, auxiliary-input jack and subwoofer. I sincerely hope the Vehicle Stability Assist (VSA) as standard on all models make it to Malaysia – when you pay over RM130,000 for a car I think safety features such as traction control are very important. 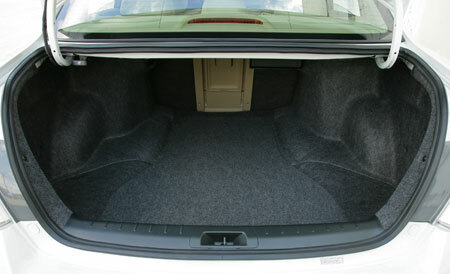 The interior space of the new 2008 Honda Accord has been improved so much that it is now classified as an EPA Large Sedan in the US market. 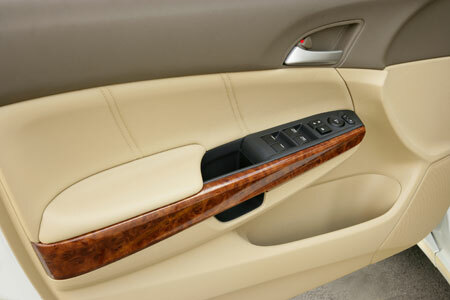 Honda says the interior offers “equal” front and rear seating comfort for four adults – the rear passenger comfort level is no longer a hit and miss thing if the front passengers move the seats too far rearward. 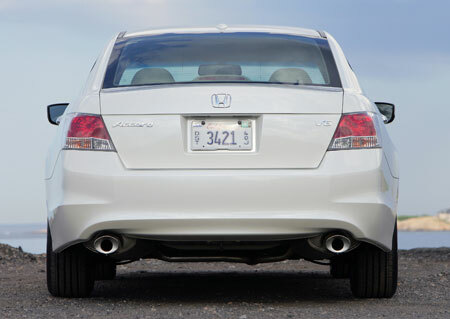 If you measure the growth in size from the exterior, the new 2008 Accord is 76mm longer than the previous model, 28mm wider and 22mm taller. Torsional rigidity has been improved by 20% thanks to the usage of 48% high-tensile steel, the highest by volume of any Honda Accord to date. Aerodynamics have also been improved thanks to a new frame rail system which positions the frame rails inside the Accord’s body structure instead of underneath it, creating a nearly flat bottom to ruduce under-floor turbulence. The car is also more balance now in terms of weight distribution as the fuel tank has been moved lower and further forward. It is not known at the moment when the new 2008 Honda Accord will be introduced in Malaysia, or whether these engine enhancements will be brought here or not as we usually carry the same engine specs as Thailand Accords, and one of the ways the new engine makes more power is because it has a higher compression ratio. Thailand fuel might not be able to handle that. 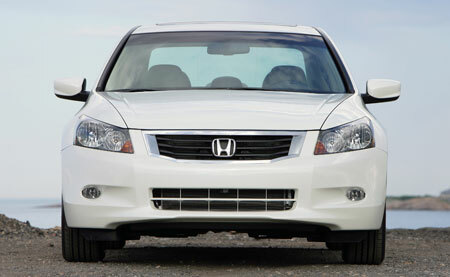 A new Accord also usually means a new Honda Odyssey is coming soon, which is a lovely MPV. 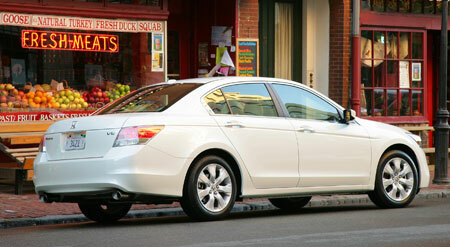 Read Honda’s full press release on the 2008 Honda Accord. More images and a video after the jump!